iSpace is a unique environment where technology startups can start up safely. iSpace nurtures a local network of like-minded and focused tech entrepreneurs in Ghana, providing places where they can work, meet, collaborate, network, learn and have fun. By providing the right people with Resources, Connections and Training in a physical space, good things happen. 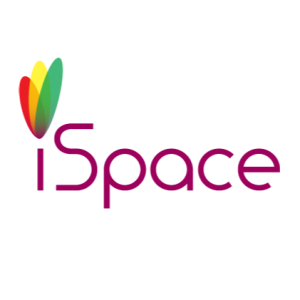 iSpace is an expansion of a successful initiative that offers product-oriented technology start-ups with a dedicated co-working space, community gathering point and network for driving entrepreneurial success. The organization is non-profit and funded by membership fees and sponsor partners. The goal of iSpace is to promote and support entrepreneurs and innovators in Ghana building new technologies for global markets. Therefore, no doubt that iSpace provides a creative and stimulating space for aspiring young technologists and entrepreneurs who join the mYouth 2.0 from Ghana. Built on a highly collaborative and community-driven model, this open space in Accra facilitates the mentoring, skilling, generation of an exposure to – novel ideas needed to foster a more innovative technology and business community in the African country. iSpace staged the first ever Apps Circus event in Ghana. The event was attended by 120 plus members of the tech community and was hailed as one of the best-organized tech events in Ghana.